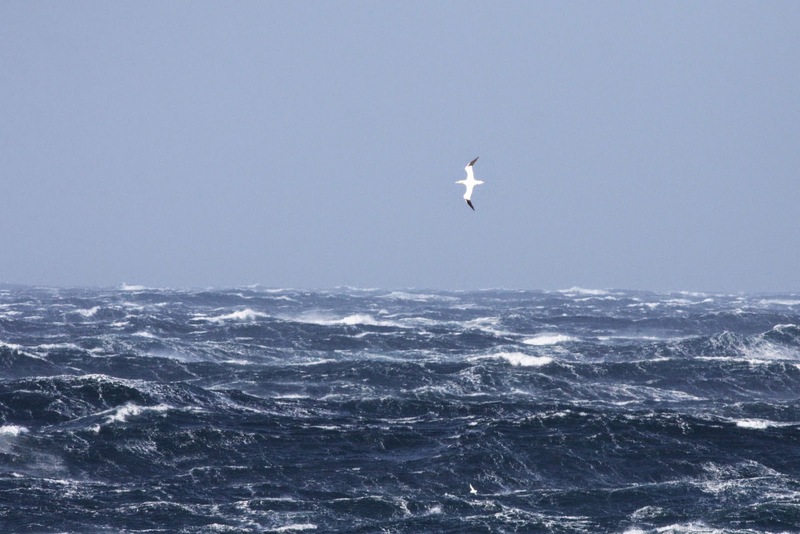 My last prediction proved hopelessly optimistic, as the westerly winds kicked in early and very few new migrants made arrival. 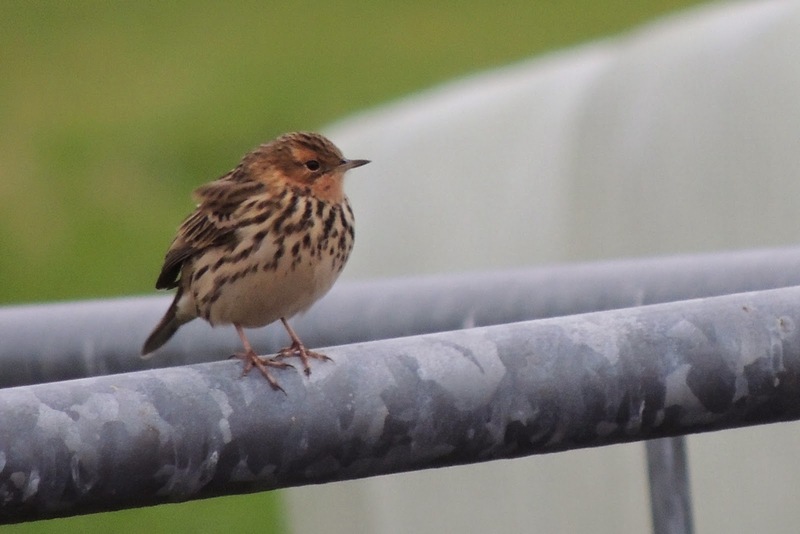 New highlights were a Richard’s Pipit at Field then Setter (23rd & 24th) and a Short-toed Lark in a mobile Skylark flock around the back of North Naaversgill, with the Red-throated Pipit (until 24th) and Rose-coloured Starling (until 25th at least) both still proving popular. Other scarcities included the Bluethroat (until 25th at least), up to 5 Yellow-browed Warbler, 2 Common Rosefinch and a (unringed) Barred Warbler (23rd). 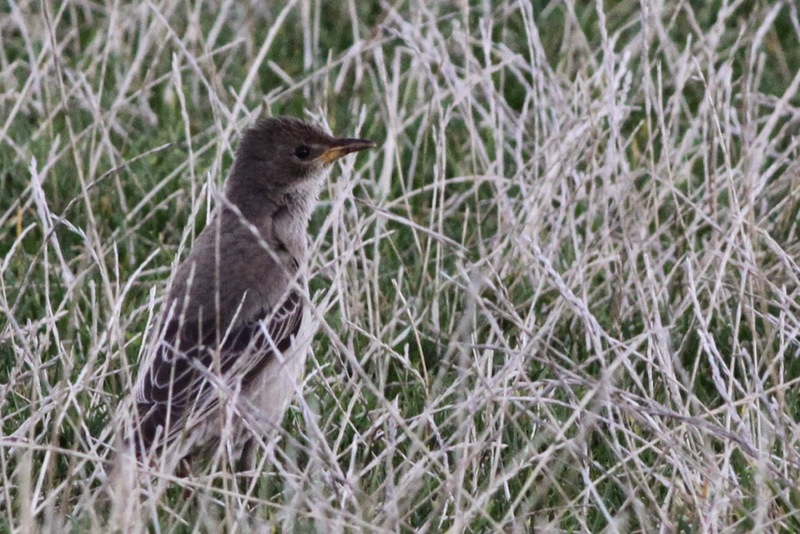 The Rose-coloured Starling seems to have settled in the area around the Walli Burn. With the winds from the NW, it was no surprise that goose passage picked up and 764 Pink-feet, 56 Barnacles and 5 Greylag were recorded on 24th, with 11 Lapland Buntings also likely to have come from the same direction. 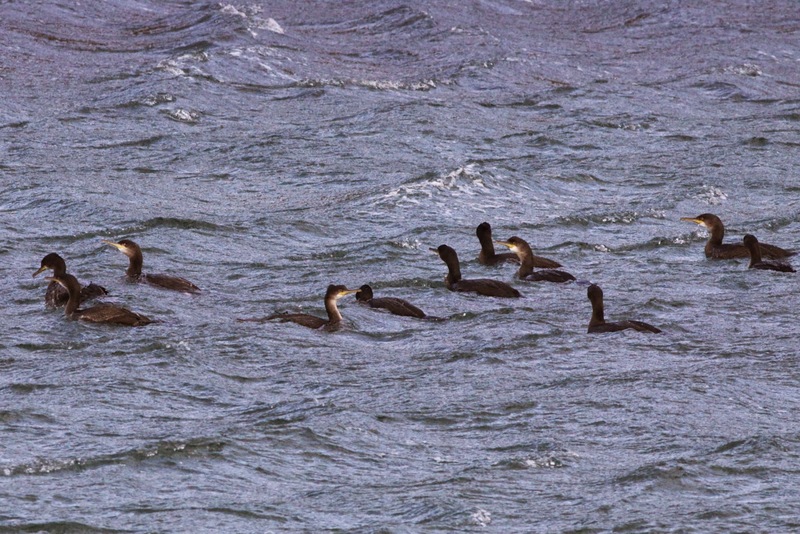 With the increase in the wind, any sheltered areas of coast have been attracting birds like these Shags in North Haven, although there have been no rarer species brought in yet. By the 25th, new arrivals were more or less restricted to a Goldeneye (the first of the autumn), with numbers of most common species decreasing and just a few geese still passing through. 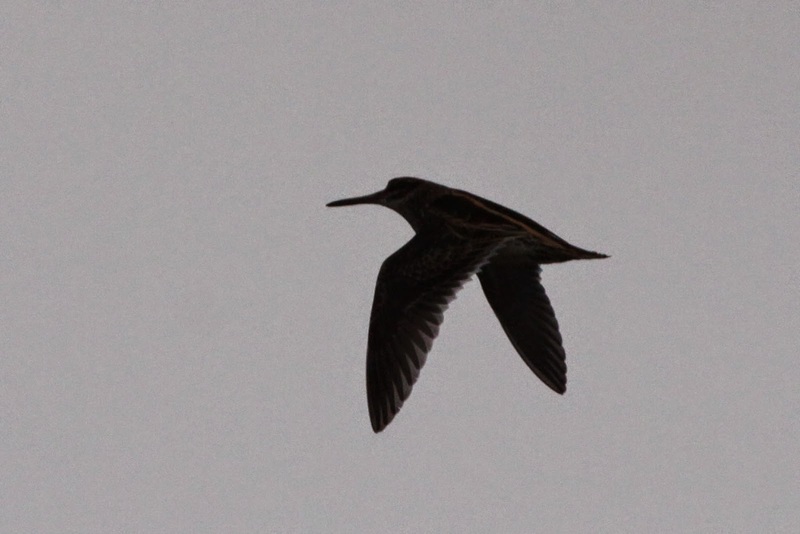 Up to 10 Jack Snipe have been counted in recent days as the ditches are thoroughly searched for migrants. The highlight for most visitors during this period though were twitchable Killer Whales on consecutive days on 24th and 25th, with the first day in particular proving exciting as they first moved north up the island before appearing around South Harbour, where everyone got to catch up with them. 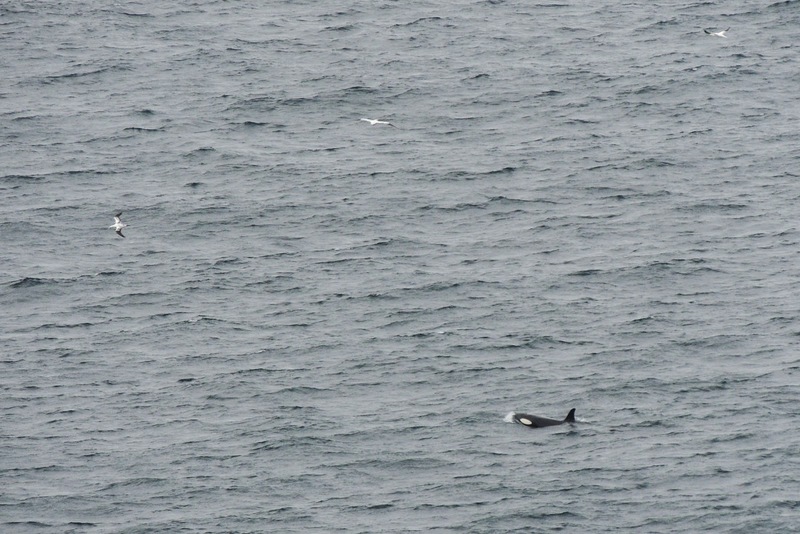 A Risso’s Dolphin (24th) and 2 Porpoise (25th) added to the cetacean sightings. Although they normally either motor past the island or stop to prey on seals, these Killer Whales appeared to be hunting fish offshore (on 25th at least) if the number of Gannets feeding around them was anything to go by. (photo by Ciaran Hatsell).